Trophy recipients are decided by each team’s coach and / or management team. These awards are purely based upon each athlete’s individual performance during the current school season. One’s attitude and commitment to that team is also taken into consideration. Bronze medallions will only be presented once, recipients must have competed on behalf of the school for three consecutive years. This does not necessarily have to have been in the same team. A recipient may only be awarded a Sports Blue once during their time at Manurewa High School. Blues will be awarded to a student for their excellence and outstanding achievement in their particular sport. Multiple Sports Blues will be awarded to an athlete who excels in more than one discipline. Represented their Country at any level or grade – does not have to be New Zealand. Been selected for any National Tournament Team - including non-competitive paper teams. Placed 1st, 2nd, 3rd, at a National Tournament. Silver medallions are presented to one female and one male from each codes first team. The recipient of these medallions are decided by each teams coach / or management team. To receive a silver medallion one must have performed to an exceptionally high standard and be a dedicated member of that team, the recipient is also usually the person with the highest representative honours. Teams receive these medallions for outstanding achievement and excellence at either a regional, national or international level. 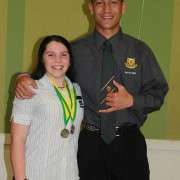 Maria Naime – Maria also receives a Regional Rep Badge for North Island Secondary School Champs and a Silver Medallion. 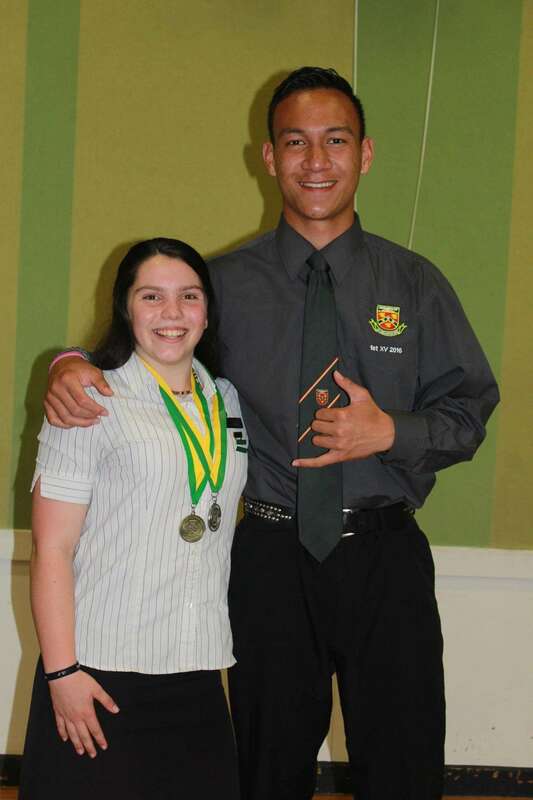 Jermaine Malaga - Jermaine also receives a Regional Rep Badge for North Island Secondary School Champs, Bronze & Silver Medallion and a National Distinction Badge for NZ Secondary School 2015 & 2016. Year 11 Sports Girl of the Year: Adventure Racing, Athletics, Tough Guy/Gal and Waka Ama.